Snake Pass was one of the first eShop games that I bought for my Nintendo Switch, and since I never got around to reviewing it in the early days, I figured that my Nintendo Switch Holiday Buyer's Guide was the best time to revisit this ambitious and highly original 3d platformer. 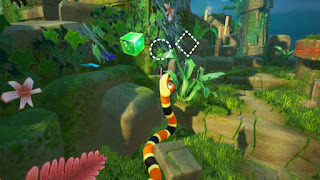 Not content to just cash in on the new craze of returning 3d platformer style games, developer Sumo Digital decided to ask the question- What would happen if you had to think like a snake in order to navigate your way through a 3d environment to collect the pieces you need to advance and open the exit? 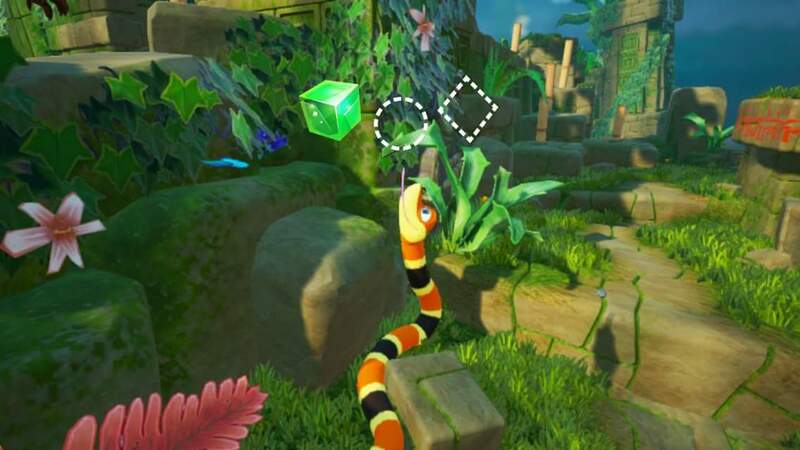 They pulled it off very well with the control scheme, and the enhancement brought by the Nintendo Switch exclusive HD rumble feature really makes this feel like the definitive version of this cute platformer where you don't jump. 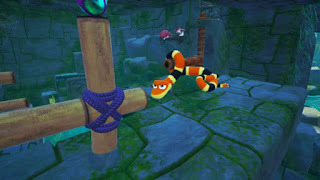 Complemented by the upbeat and charming soundtrack provided by industry master David Wise, Sumo Digital has created an overall pleasant world to immerse yourself in as you slither and climb your way through the wonderfully crafted levels. The control scheme comes with a learning curve, as all new experiences do, but it is more rewarding than it is frustrating, and feels surprisingly intuitive once you get the hang of it. These intuitive controls, in fact, lead this eShop gem to becoming two of my daughters' favorite game to play aside from Mario Kart 8 Deluxe and Skylanders: Imaginators. 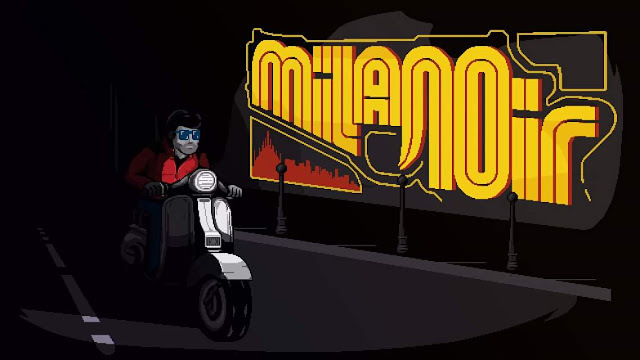 My eldest quickly took to the controls and the charm of the game, as well as providing most of the screenshots that you'll find in this review. My youngest loved playing in the bright and colorful world, and loved to hand the joycons off to me to help her overcome a difficult obstacle. It was actually in one of these moments that I found the patience and motivation I needed to overcome a tough spot that I had become stuck in during my own game. Unfortunately, when the game first launched, it had some overly intense rumbling that was problematic in handheld mode, but this was quickly patched by the developer (within the first week). 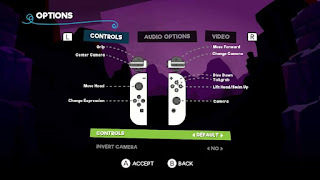 Like other games before and since, some concessions were made on the graphics to help the game run more smoothly in handheld mode. While I remember the resolution drops at launch, they seem to have been improved upon and smoothed over since I last played in April, so they must have had another patch that addressed these issues as well. 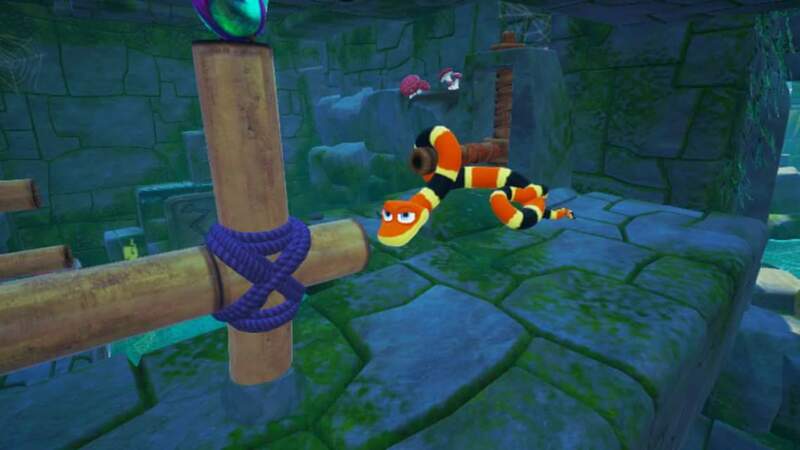 The only time that the low resolution rears it's ugly head is during underwater sequences, where your beloved snake seems unable to decide if he wants to blend into the water or remain a solid creature. This is a minor issue, however, as the rest of the game is just stunning. It's a great package overall, and easily could have been a sleeper hit on the console had it released later in it's lifespan. 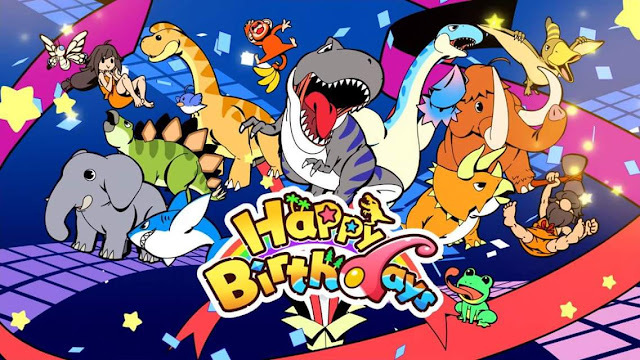 However, it got a lot of buzz by releasing early on with little competition on retail shelves and the eShop itself. 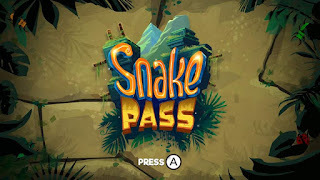 So, if you haven't already, make sure you do yourself the favor of picking up this finely tuned platformer that slithers into puzzle territory with it's unique controls and interesting approach to the old collectathon formula. It will be frustrating at times, but it's always worth it.